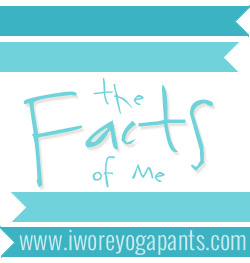 I'm linking up a day late with the wonderfully hilarious Whitney from I Wore Yoga Pants for her "Facts of Me" link up. 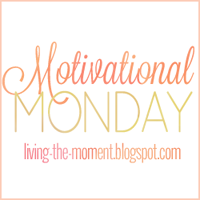 If you don't already read Whitney's blog, you're seriously missing out. Go check her out now! FACT - Call me nosy but I love reading facts about other bloggers so I had to write down a few of my own FACT - To fall asleep I have to have a pillow on top of my stomach and the TV on. Strange I know. If my husband would cuddle with me at night and whisper sweet nothings into my ear this would change that, however I will continue to put a pillow on top of me until he does. FACT - I still count with my fingers unless I have my cell phone or calculator in front of me FACT - I blog more at the beginning of the month because we do not have unlimited internet. That's right...we live in the middle of nowhere outside of town and cannot get it here. Hubby always yells at me about the 2nd week of the month because I am already about to go over our limit. Needless to say he forks out more money each month for my overage charges. FACT - I am 5'4 but yet I wear a size 9 shoe... I don't get it either. My sisters have the same problem...except my sister that is like 5'9. I wish I had her long legs sometimes, but then again I love being able to wear my tall heels and not tower over most men. FACT - I give my dog kisses daily. Even if he does occasionally lick his behind and drinks water out of the toilet. FACT - It takes me about 7 minutes to fix my hair when I wear it straight - including dry time. Which is why you rarely see pictures of it curled. FACT - I am NOT a morning person. I will re-set my alarm until it is the last possibly minute to get up and ready for work. FACT - I would rather shop alone than with a group of people. Call me crazy but that is my ME time and I like to spend as much or little time as I desire. FACT - I immediately change into yoga pants when I get home from work. Don't act like you don't do the same thing. FACT - Hubby asked me on my birthday if I wanted to go shopping. Normally he wouldn't ask, or I wouldn't hesitate but then I broke the news to him that I treated myself to a nice birthday present to myself. He then threatened to take away my debit card and give me a weekly allowance. FACT - I do not like confrontation! Even if it is something I am mad about, I usually end up crying. FACT - Going straight to Google when something is "wrong" with me is the worst thing I could possibly do for my anxiety. Yet I always do it...and Google never fails to tell me I have some sort of disease or cancer...not really but there is always that "possibility"
FACT - I would rather watch a 30 min - 1 hour episode of a reality show than sit through a movie. 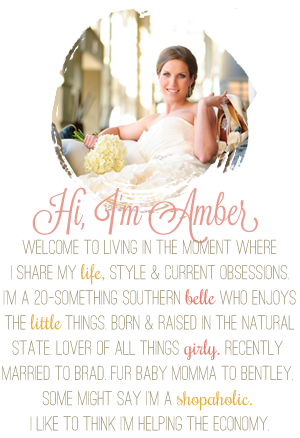 FACT - The first thing I usually check in the morning is Instagram follow me @ amber_nicole324 so I can follow you too! I'm totally guilty of counting on my fingers and also setting my alarm 15 different times in the morning because I DO NOT want to get out of bed. Mornings are seriously the worst. I love these facts! We have a lot in common! I will add you on instagram as well! Isn't nosiness (sp?) what reading blogs is all about? haha we have quite a bit in common! New follower :) I will follow you on Instagram. Well, this has shown me that we have a lot in common! I always count on my fingers, love tv but am not a movie person, am a total hypochondriac (made much worse by google and WebMD! ), hate mornings, and check instagram before anything else. I'll have to find you on there! I always prematurely diagnose myself with serious diseases too. Thanks alot google! i love to shop alone as well... going at my own pace and having a little me time. and i am SO not a morning person, either! 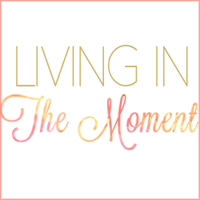 loved the list... so fun learning a little more about you! I like shopping by myself best too! I hate getting stuck in Forever 21 for hours with a group! Sometimes I find myself counting with my fingers when I don't have a calculator handy, I'm so afraid of messing up haha! I have the same shoe problem! I'm 5'1 with a size 7.. the rest of my short family is all in 5's! What the heck. I am the same way with TV vs. movies. It drives my husband nuts. I blame it on my short attention span. Glad to know I'm not the only crazy one out there. Happy Friday! !